If you want to take everyone’s favorite ice cream treat to the next level, here are some excellent ideas. This week’s Mad Genius Tips video reveals the easiest way to make killer ice cream sandwiches at home with a pint of ice cream, cookies and a sharp knife. The method is foolproof and takes almost no time. But if you want to take everyone’s favorite ice cream treat to the next level, here are some excellent ideas. Here’s proof that Nutella can make everything better. 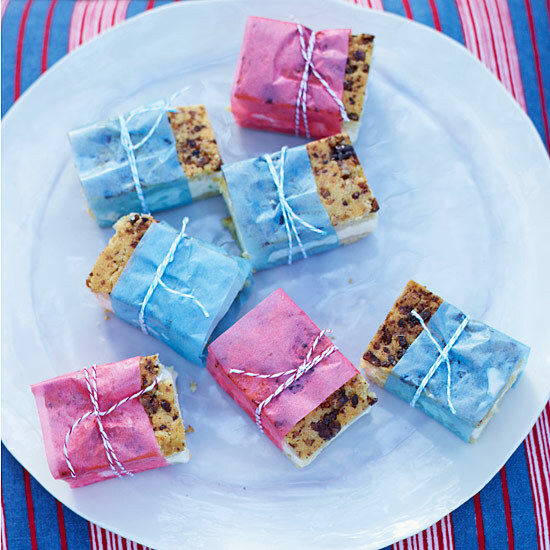 Instead of topping individual cookies with ice cream, make these treats by slicing one giant sandwich into squares. These ice cream sandwiches layer vanilla and green tea ice creams on crispy, chewy green tea macarons. Make these sandwiches with dairy- and gluten-free ice cream like Luna & Larry’s Coconut Bliss chocolate-hazelnut fudge. This is the perfect Southern ice cream sandwich. Related: 31 Best Ice Cream Spots in the U.S.